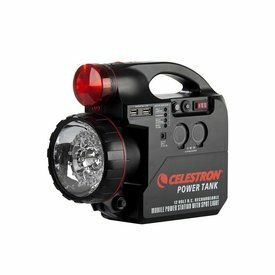 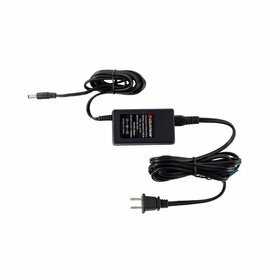 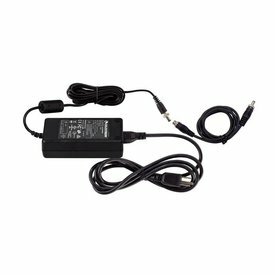 Take your Celestron telescope anywhere with this portable, rechargeable power supply. 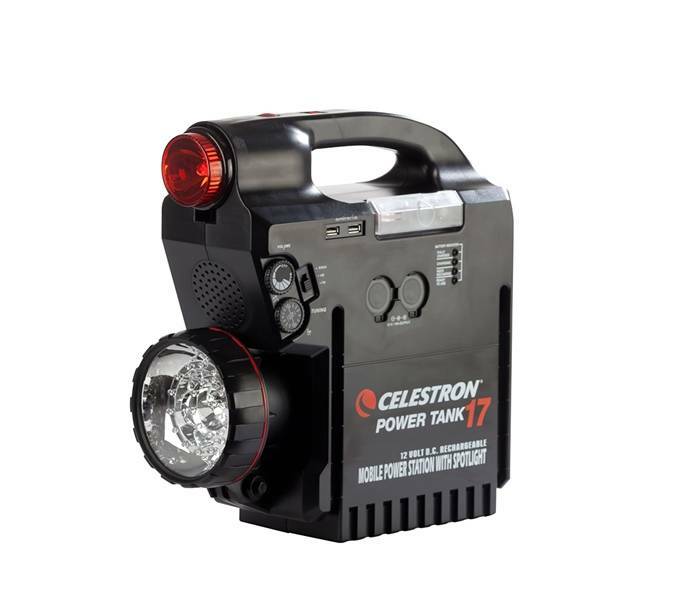 Enjoy extended observing and imaging sessions worry-free with 17 amp-hours of power in one convenient package. 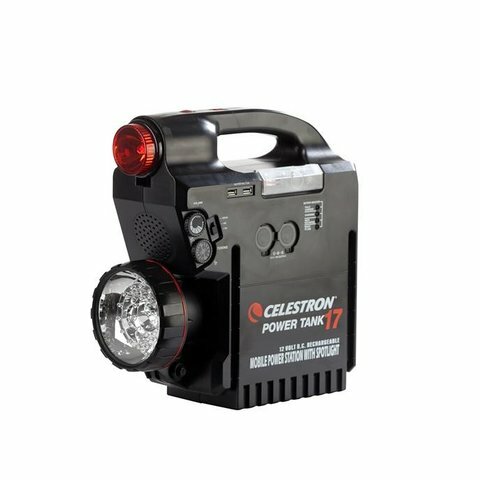 Use the included removable red flashlight while your eyes are dark-adapted to find accessories and reference star charts. 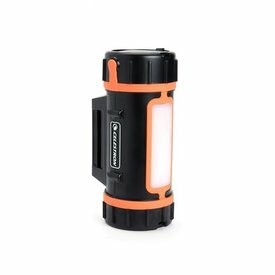 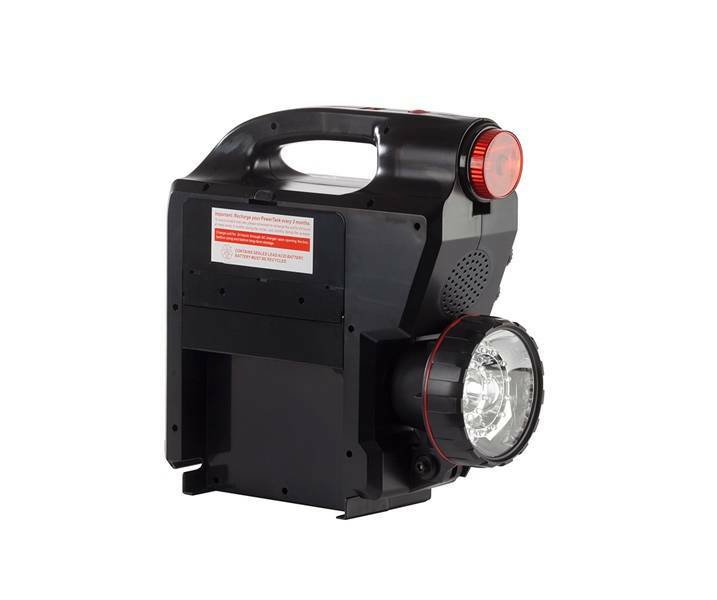 When your session is over, the powerful LED spotlight illuminates your observing area so you can pack up quickly and safely, without leaving anything behind. 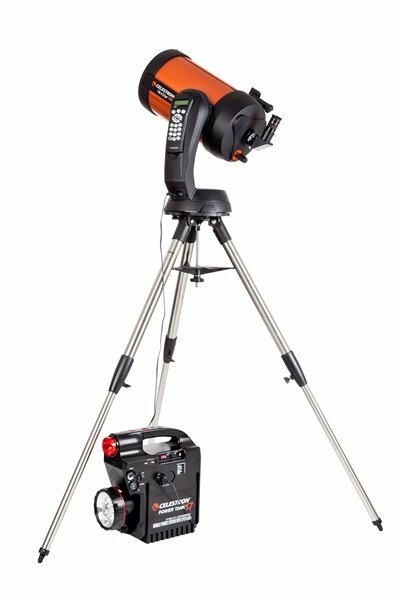 The extra large PowerTank 17 from Celestron is more than just a telescope accessory; it’s also an essential assistant on your next outing. 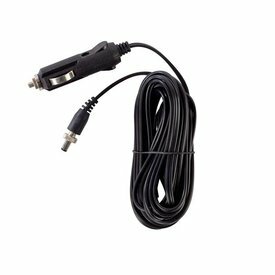 You can use PowerTank to charge drained electronic devices with a cigarette lighter adapter. 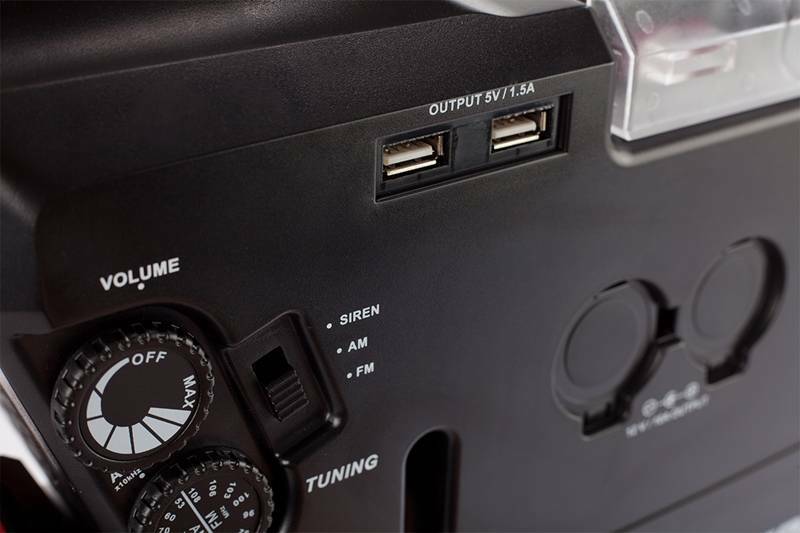 PowerTank also comes with a built-in siren and AM/FM radio for emergencies.